The Alexsandra Bilotti Foundation, a 501(c)(3), will host its first fundraiser at the IATSE Ballroom, 2401 S. Swanson St., from 6:30 to 10:30 p.m.
On Thursday, April 4, the Alexsandra Bilotti Foundation, a 501(c)(3), will host its premier fundraiser at the IATSE Ballroom, 2401 S. Swanson St., from 6:30 to 10:30 p.m. The foundation is dedicated to funding research at Children’s Hospital of Philadelphia for Ewing sarcoma, which is a rare pediatric cancer. 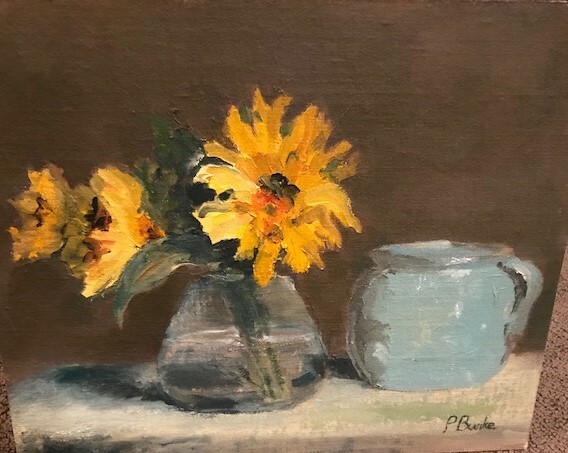 In addition to food, spirits and dancing, this fundraiser will uniquely host a silent art auction featuring local artists’ interpretation of sunflowers, which is the foundation’s logo. Local artists, and students from the Philadelphia Sketch Club and Wayne Arts Center, have volunteered their time and talent to create their interpretations of sunflowers in a variety of mediums, including a one-of-a-kind pair of sneakers as a canvas. Event attendees will have the opportunity to silently bid on the local art as well as other exciting items, such as three Eagles Super Bowl LII-labeled bottles of wine, which are each signed by Nick Foles. Tickets are $60 per person and available through PayPal by visiting here.